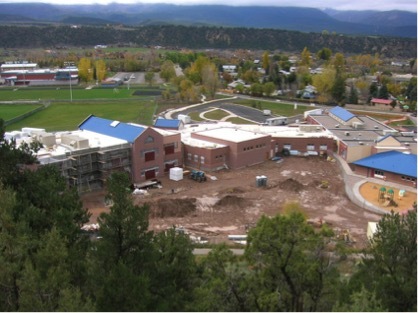 The Carbondale Schools project consisted of providing excavation, site work and utilities for both the Crystal River Elementary School and Roaring Fork High School. A new addition was applied to the existing Crystal River Elementary School. This project encountered unsuitable soils and a stringent timetable. The Roaring Fork high School is a new building suited for 1500 students. The challenges on this project consisted of connecting new and existing utilities under CDOT highways.